Is Keith Richards the most over-rated rock guitarist of all time? Between all the stories of his nodding off during recording sessions, and that open G tuning that makes those riffs he plays, well, easy… the answer may be yes. But even moreso than those examples, I find the biggest example—for me, anyway, is the fact that my favorite era of the Stones may well be the era in which Keith had very little input. Yes, that’s right. I’m talking about late ‘70s through early ‘80s Stones. And yes, I know this is rock ‘n roll heresy. First, total transparency: that ancient Beatles vs. Stones question? I’m a Beatles person. I love the songcraft, I love the production, I love their voices, I love the eclecticism of their vision. Growing up, the “raw” and “swampy” Stones of the ‘60s and early ‘70s didn’t speak to me as much. 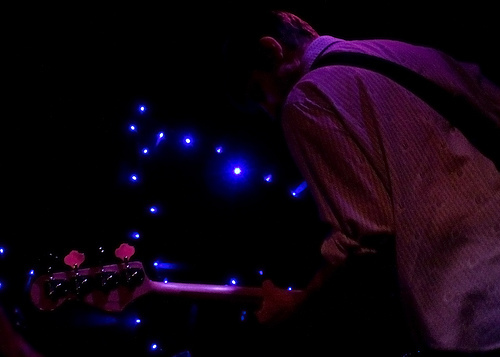 In my mind, most of that stuff was poorly recorded and sounded a bit ramshackle and tossed-off. I know, right? Some of you are, like, *really* angry with me right now. There are some exceptions: “Paint It Black” always gave me shivers, and I love Between the Buttons (not surprising, maybe, as this album was kind of like the Stones’ bid to become more Beatles-esque). But as I grew up and continued being a lifelong student of music, I would always ask myself: why didn’t I like the Stones more? And I’m the kind of person that really interrogates that question. If I don’t “get” what everyone is talking about, I really spend time with it—I picked up all the “classic” Stones albums and listened to them (a lot), read about them, etc. And I admit, I came to really respect their work, and enjoy it to some extent. But still… a fan? No, not really. And then recently, something happened. I was reading the 33 1/3 volume on Some Girls, and like most of those books, it spurred me on to listen to the album. Holy moly, what a great album! 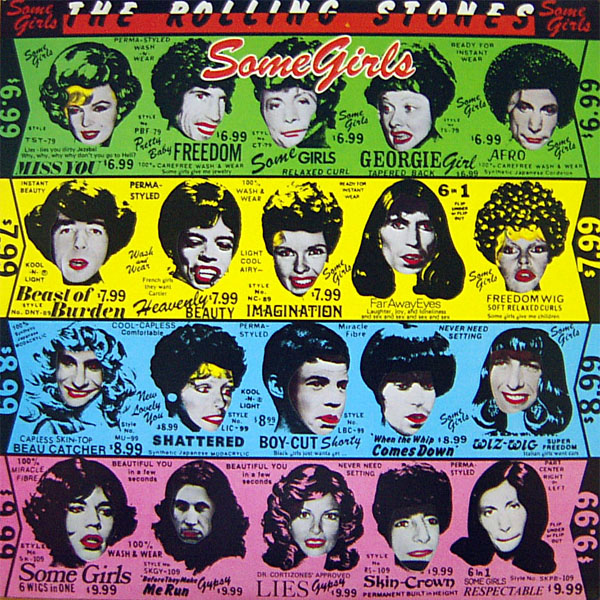 And I realized: wow, this is actually the Stones I grew up with—Some Girls, Emotional Rescue, Tattoo You. I revisited each of these albums and realized I still really knew these songs pretty much by heart. But I hadn’t listened to them in over 20 years—because when I tried to get into the Stones as an adult, I picked up all those albums I’m *supposed* to love—Let It Bleed, Sticky Fingers, Exile on Main St., etc. But god help me, I prefer those edgy, new-wave rockers they put out between ’78 and ’81. I love Mick’s falsetto vocals, I love the four-on-the-floor beats, I love the jagged guitars that conjure up The Velvet Underground and the New York Dolls. And yes, I love the better production! Those guitars sound BEAUTIFUL. And you know what? By all accounts, Keith spent most of those years barely knowing what was going on, lost in his hard drugs. Mick was really driving the ship through those years. So, call me crazy, but I’m going against the grain here. I’m gonna go listen to “Miss You,” “Shattered,” “Beast of Burden,” “Emotional Rescue,” “She’s So Cold,” “Hang Fire,” and “Waiting on a Friend.” Seriously, make that playlist. It’s pretty awesome, right?